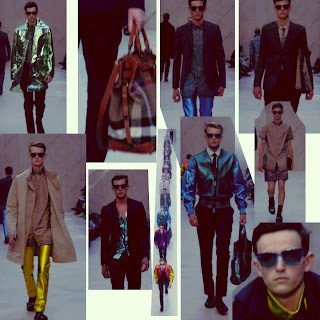 I was lucky enough to be invited to watch the latest lines to come out of Burberry for next Spring Summer season as part of Milan Fashion Week, and have to be honest I was pleasently surprised. In my head I was still picturing the Burberry line as being a very chav driven line with the traditional check pattern on caps. But to my surprise there was not a cap in sight. 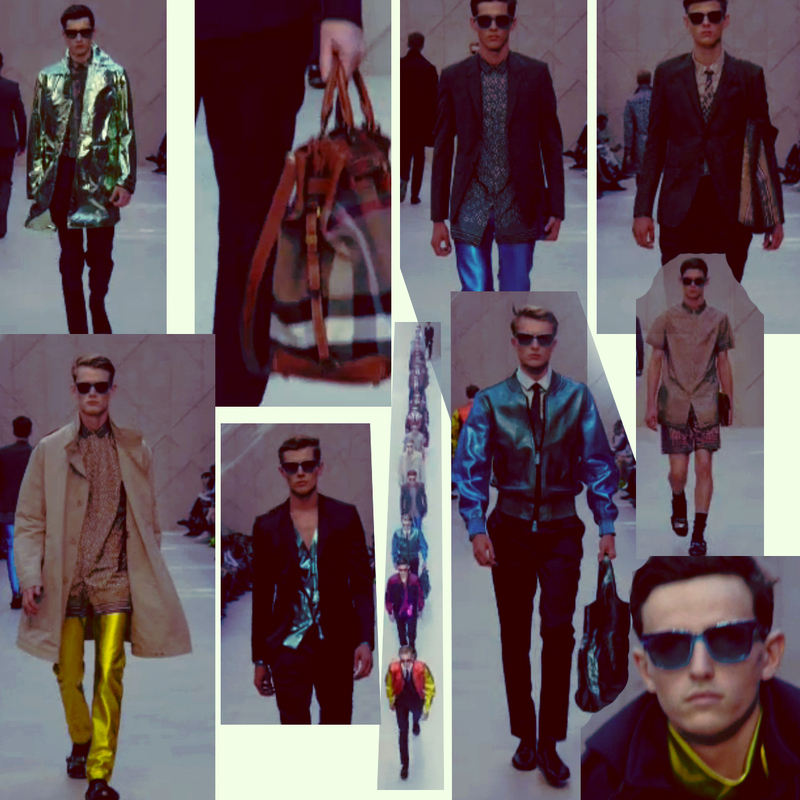 Instead there was a whole load of colour and very smart looking lines, suits and formal work wear are very much on the agenda for the Spring Summer 2013 range from Burberry. This makes me very happy as this in my view is what Burberry are all about, smart clothes and professional people, it was such a shame that there line got taken over by chavs, but it seems they are back on track and very much on target. I was actually taken a back first by the use of bright colours on what would normally be very dull things, suits, formal trousers, jackets etc. But after a while I found them very appealling, nothing better than bringing back the suit by adding a whole load of bright colours to it. When I say bright I mean bright, reds, yellows, blues are as bright as you can imagine. And in my opinion this works, as the suit in general is on the decline so its nice for Burberry to not only get back to their roots, but to bring their roots bang up to date. One of the key features of the new lines is eye wear, and again although they are very traditional looking sun glasses, they are splashed with colours, and bright colours. Almost made me think of kiddy sunglasses for adults. But again it worked. Another huge thing next season is the continues rise of the bag or man bag as some people call them, I see a bag like this myself being used not on a daily basis, more of a replacement for my briefcase. As you look a bit silly dressed smart – casually but carrying a briefcase, and this is the market and exactly where the bags fit in. In my view most men will use them just as I do, as a work bag, dont think many men will actually use a bag daily as a woman does her hand bag. Yet again the look of some of the new Burberry bags are on trend, not feminine as you would expect, although some were at bit girly for my tastes. But I am just happy that after all these years these bags are being mass produced, I remember a few years bag I could not find a casual briefcase replacement anywhere, so well done Burberry for bringing them up to date. Now as you will expect there are some very smart looking shoes in next seasons line up, just the fairly normal work and casual wear. But and here is the bit that I will never get, there are sandals, yes sandals although the bright colours feature on these again. The fact that they are paired with socks just screams old man, just like your grandad would always wear his sandals with socks. So my advice would be take sandals out of the range, I dont know anyone would would wear sandals with a suit, that is unless you live in a hot country, but even then only at a stretch. But all in all I really like the new Burberry look, they are going back to the formal style where they started from and lets hope that in doing so the Chav element disappears.